These are unarguably one of the most popular hair extensions for all those fashionable women seeking to experiment with their hairstyles. 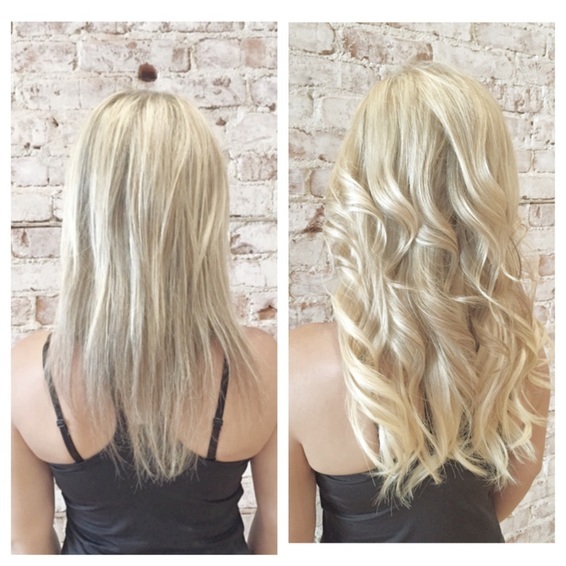 These hair extensions get their name from the Micro loop, a micro ring and also known as I-tip hair extensions. They are attached with the hair with “cold fusion method” through a small metal bead and an inner silicone lining. What makes these extensions unique that they have are applied without any use of chemicals, heat, glue or bond. A tiny bead locks your natural hair with the bunch of artificial hair extension. You just have to slide your hair through the loop (while adding the strand of hair alongside) and clamping the hair with the assistance of a pair of pliers. The process may seem to be complicated but it is the most proven natural way to cover your scalp and it is easy once you are a little practiced with experience. The end appearance is extremely safe, natural looking and pretty much durable. These extensions are one of the most popular types for their cost effectiveness and reliability. Despite all their popularity, like all other hair products, Micro bead hair extensions have their pros and cons. They may make you look good but you ought to know the hair extensions pros and cons to make the best use of Micro bead types of hair extensions. +They are more durable than most other types with a life of up to 6 months. +You can style them like your own hair. While keratin and tape hair extensions require you to not apply any heat near the bonds, then micro bead extensions are completely fine with the heat. +If you desire completely natural looking extensions giving you length and fullness with average price, then these hair extensions are for you. -You may experience headache (many days even after the application). Application may also result in scalp discomfort and itchy feeling for the first few weeks of application. Just like most other types of hair extensions, you need to avoid application of silicon or oil based hair products close to the attachments. Avoid washing the hair extensions too often, however, do wash them once in a while to maintain them in good shape and to allow the metal links to hold fast. Always opt for a quality shampoo with minimum parabens content and carry out periodic maintenance every 2-3 months. Not sure which type to choose?